Job hunting, for some, can take up to a year, and throughout that dreadful process people often get lazy and forget to put their best foot forward. Luckily JobHero is keeping you on your game and putting your best foot forward for you. From expert help with your resume all the way to bookmarking what jobs you intend on applying for; JobHero is there to make the process (hopefully) a little shorter. With a focus on the job seeker they go the extra mile for you as opposed to other company-focused employment resources. 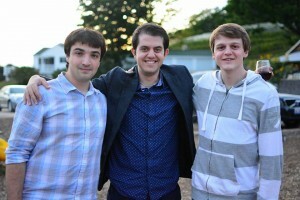 The company’s cofounders Sherveen Mashayekhi, Jerry Reptak, and Stefan Mancevski teamed up to talk with AlleyWatch about how they started and how they hope to continue. 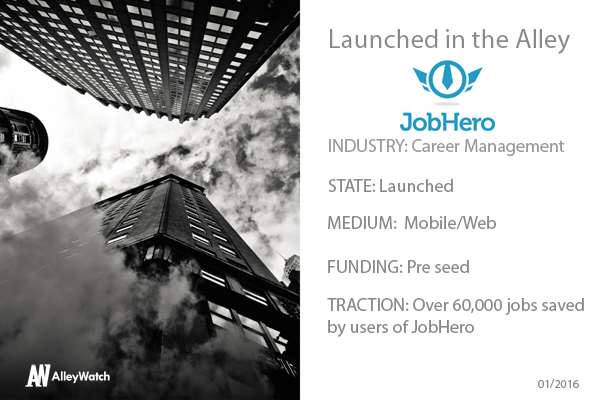 JobHero is a dashboard for job seekers to organize and optimize their job search. We provide tools and tech that allow anyone to run a better process at improving their career. 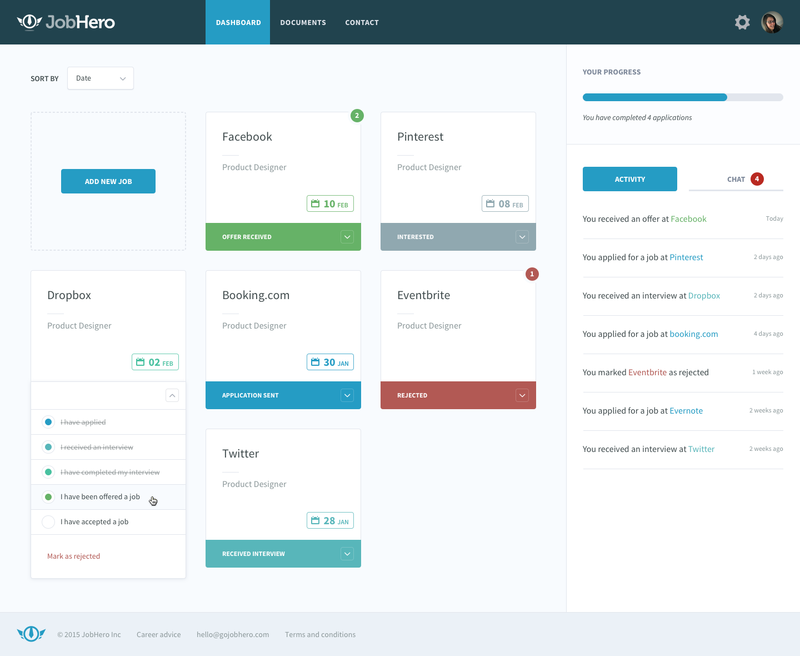 Our most popular feature is the JobHero Sidekick, a browser extension that lets you save job listings from any website with one click. All the startups being created in the jobs and recruiting space are marketplaces or tools focused on providing value to employers and recruiters. We’re leveling the playing field by focusing solely on the job seeker experience and improving their odds in finding and engaging awesome opportunities. It’s the entire labor market, from those searching for their first job to those looking for their fifth career promotion. It’s difficult to quantify precisely, but we’ll start by suggesting that the 180 million job seekers worldwide that use Indeed.com monthly should be using JobHero, too. Currently, the product is free. We’ll be unveiling a premium feature set and freemium model within the next several months. A year into our first jobs out of college, we decided that the process by which we searched for and engaged those jobs could’ve been much better, thus leading to superior outcomes. How do you plan on competing in a market where there are much heavily funded and established competitors? We’re focused on one side of the market – the job seeker – whereas all of our competitors are two-sided. The incentives they have, align with the employer side of the market and therefore they cannot optimize for the job seeker experience. Our focus is on improving the core product and launching several secondary products and features to bolster the offering. Never listen to startup advice from anyone who is not close to your business, team, or industry. Fred Wilson isn’t just a typical answer and great VC, he and Brad Burnham also made a really smart prior investment in the space (Indeed.com) and likely have insights that would prove valuable. We grew up across the GWB in New Jersey and are built for the way and speed at which people do business in this city. Go grab a beer at The Ginger Man.